Eurofutur Folding Doors in Vélez-Málaga - Juan Verdún S.L. 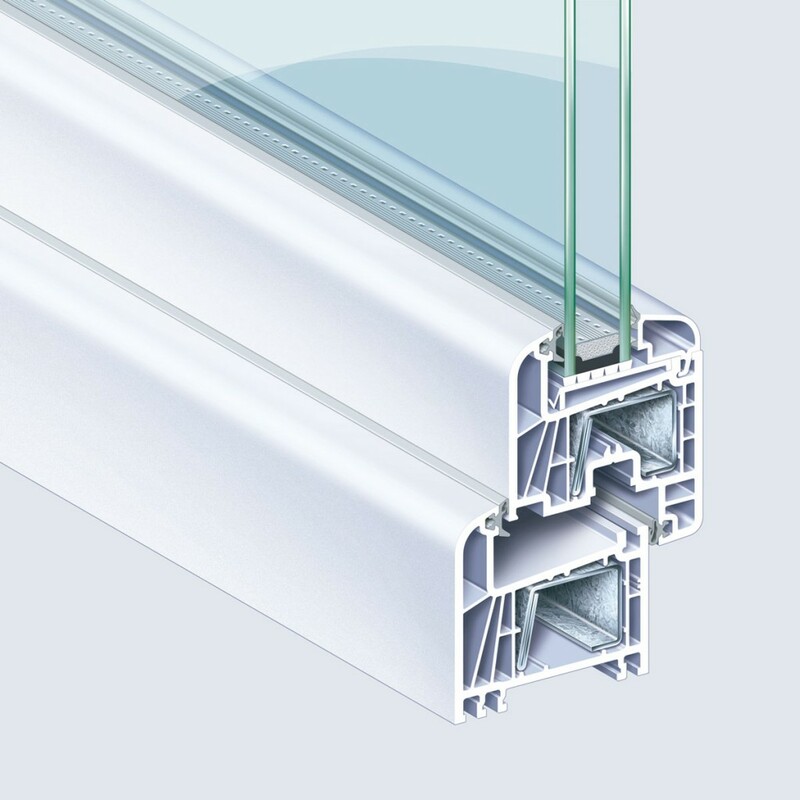 Profiles with a minimum of 70mm depth and 5 insulation chambers. Ability to use special glazings and with high thickness. Inclined inner frame for better evacuation and double seal for hermetic closure. Two types of panes: Recessed (70mm) or semi-recessed (82mm). Maximum weight of each pane: 80 kg. The folding PVC-U doors are a variant of PVC doors that allow the total opening of the span. The mechanism of the movable panes allows the opening area that is desired. The passage is not obstructed by fixed glass, nor by crosspieces or posts. You can choose a division in 3, 4, 5, 6 or 7 elements. Modern fittings guarantee flexibility of use. This folding door is manufactured with the EuroFutur Elegance profile, thus achieving high levels of hermeticism. EuroFutur Elegance obtains an insulation value U = 1’3W / m2K, with this level you can achieve savings in heating and air conditioning of up to 70%. Insurmountable thermal insulation, thanks to its hermetic closure and its five isolation chambers. Insulating windows improve the comfort of your home and increase its value by reducing energy expenditure. The values of thermal transmittance achieve a value U = 1.8 W / m2K. 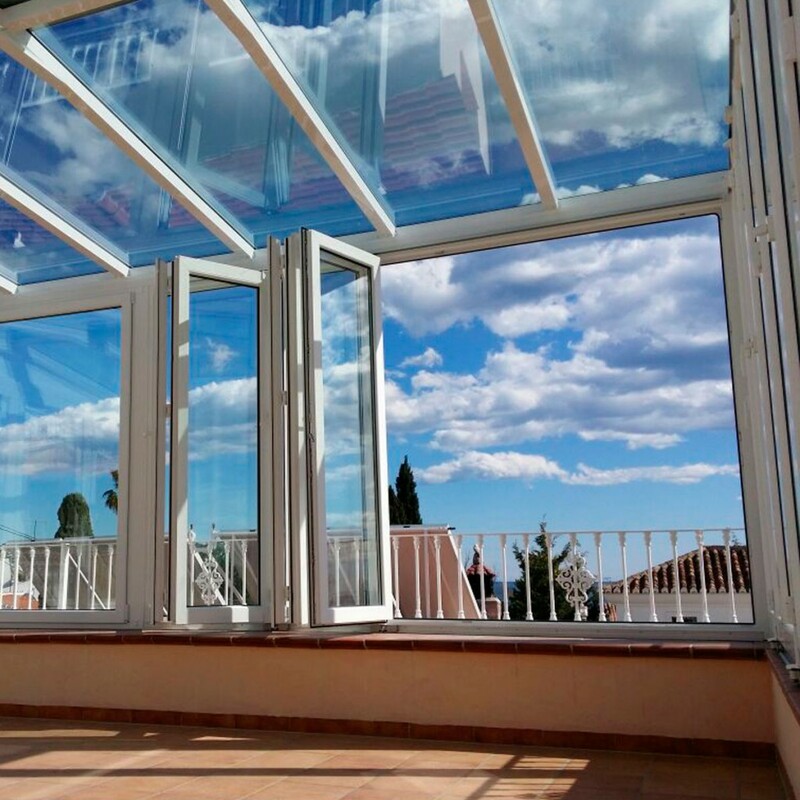 These windows provide an optimal acoustic isolation that goes from Rw,p = 34 dB up to, with the combination of suitable glazing, reaching values superior to 45 dB, which guarantees protection against noise in the most extreme conditions. If we take into account that with the traditional sliding window systems barely exceeds 25 dB, the improvement of the quality of life is considerable.